Convert videos to MP4 with Xilisoft MP4 Converter! Additional supported video formats include AVI, MPEG, WMV, MOV, RM, MP4, 3GP, H.264, H.265/HEVC and AVCHD. 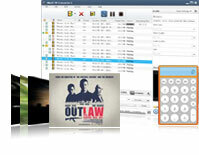 Option to convert MP4 to MP3 music is also available. 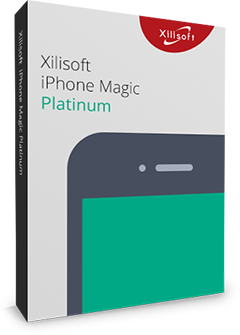 Xilisoft MP4 Converter supports HD video formats: Apple TV h.264 720P (1280*720), VOB HD Video , Quick Time HD Video, MPEG-4 TS HD Video, MPEG-4 HD Video, MPEG2 HD Video, especially H.264/MPEG-4 AVC, H.265/HEVC, AVCHD Video (*.m2ts, *.mts). Dual-core or multi-core CPU means faster conversion speed while still maintaining the high file quality. Introduce NVIDIA CUDA & AMD APP encoding technology to increase MP4 video conversion speed up to 5x. You can choose from the ready-available output formats or manually adjust these settings according to your preference and save this profile as your own for future use. All the parameters are classified for quicker navigation. Load a file and set as many output files as you want, even in different file properties for each as you wish! You can change the output file size by loading the bit rate calculator; specify file size you prefer and let the calculator do its job of compressing or expanding your file for you. From one source file, you can convert and split it to several small ones by setting the file size or file duration. This MP4 converter converts by multithreading and batch conversion – load as many files you want and convert them in batches. Preview original videos in the built-in resizable player (supports 4:3 and 16:9 zoom mode); take snapshots of scenes you like and save them as picture files in GIF, JPEG, PNG or BMP format. To save time and do more tasks, you can run the program in the background while converting without conflicting other programs or slowing your computer down. Allows you to manage your system power in this MP4 converter. Change the look of your interface from the available skins to choose from. Change the language to English, German, French, Spanish, Japanese or Chinese.